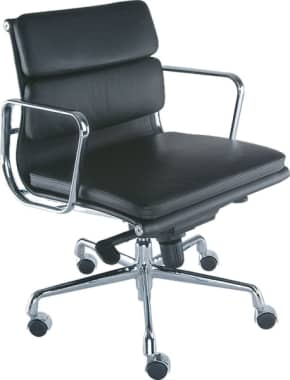 The Soft Pad Medium Back office Chair comes with a standard 2 lever knee tilt mechanism, multi lock (6) reclining positions with a tilt restriction and gas lift. The knee tilt mechanism provides a forward pivot point for a reduced knee lift and a superior ride quality. It has a tension adjustable free float mode or you can lock it into one of the 6 reclined positions.